It’s fair to say not everyone is as beautifully proportioned as Elle ‘the Body’ Macpherson or Peter ‘six-pack’ Andre and that there are as many of us Fred Flinstone, Homer Simpson and Angelica Pickles look-alikes wanting to buy bikes that actually fit. With the Planet X Customise option, now yours can. As all Planet X / On-One bikes are individually built to order, we believe we've even got Fred, Homer and Angelica covered! Most Planet X / On-One bike-builds now offer something over and above the “Small, Medium or Large and that’s as far as you choice goes Sir” option. 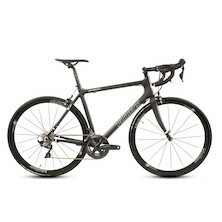 You can order a bike that is tailor-made to your specification to accommodate any particular shortcomings you may have (my Mrs is always pointing out mine!) simply by clicking on the "Customise" button. Whether you've got particularly broad shoulders, short legs, flexibility issues etc we'll help you make sure that your bike fits. Why would you want a choice though? Well everyone is different. You’re not telling me that a 6ft 2in ‘bean-pole’ will need the same bike as a 6ft 2in prop-forward and that a lady’s bike going to be specced out the same as man’s are you? Of course not – and that’s where the variety of choice comes in to its own. Who knows what you could end up with without the right advice? Planet X has a highly experienced team of advisors ready to help you go through the customising options if it proves to be too daunting a prospect to deal with on your own. Although some of the options are purely aesthetic (colours of components for example – do you know I counted almost 50 bar tape options on one build the other day? ), some are more critical than others. Crank lengths, chainring sizes, bar widths, stem lengths and saddles (especially) are all highly important items to consider when building your bike. If you're not sure what to choose or how to choose it, just drop us an email or pick up the phone and we'll guide you through it all. This also means that whilst other companies offer one or two women's models, any of our customised builds can be tailored to fit the female figure easily, and at little or no extra cost! 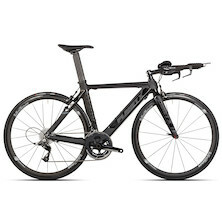 So, why go anywhere else (and more likely than not pay more for a bike that comes off the shelf in a box), when you can get a tailor-made, fits-like-a-glove beauty for no additional fee from the nice men at Planet X? If you’re reading this Elle, and decide not to go for one of our set-spec builds and choose one of the customising options instead, please feel free to ask for Ian who will be only too pleased to help you out. Peter… could you ask for another member of the team please? All the bikes below can be purchased with a FREE customise option.